The Oakland Unified School District (OUSD) will likely hire a new superintendent in the next six months, and during a two-hour town hall meeting at La Escualita Elementary School on Thursday, members of the Oakland community weighed in on what qualities they want that individual to have. Sponsored by the NAACP, the school district, the City of Oakland, GO Public Schools and the Unity Council, the meeting gave nearly 70 OUSD parents, students, teachers, school board members and city residents a chance to collaborate and create a “shared vision in what we need” in a superintendent, said GO Public Schools executive director Ash Solar. Go Public Schools is a nonprofit organization that builds local support to improve and expand public education in underserved communities. The town hall meeting was one of the district’s first steps toward finding a new superintendent following the late-November announcement of current Superintendent Antwan Wilson’s resignation. Wilson has served as OUSD superintendent since July, 2014. He is leaving the OUSD for Washington, D.C., where he will begin his tenure as chancellor of the District of Columbia Public Schools next month. Deputy Superintendent Dr. Devin Dillon was named interim superintendent in December. At Thursday’s meeting, participants broke into seven small groups to discuss the qualities they wanted to see in the next superintendent, how the community can support the superintendent, and what the community needs from the school district and board of education during the hiring process and transition to a new district leader. After talking about each question, the groups reconvened to share their answers. 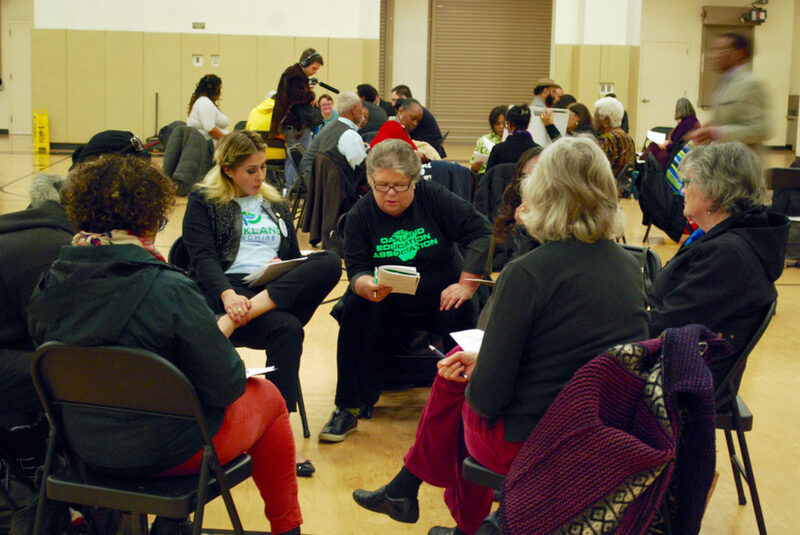 Participants expressed a desire for a superintendent who understands and appreciates Oakland, will be involved in the community, has prior classroom experience, is committed to equity and is aligned with the values and direction of the district. The community members also requested continued involvement and transparency in the superintendent hiring process. 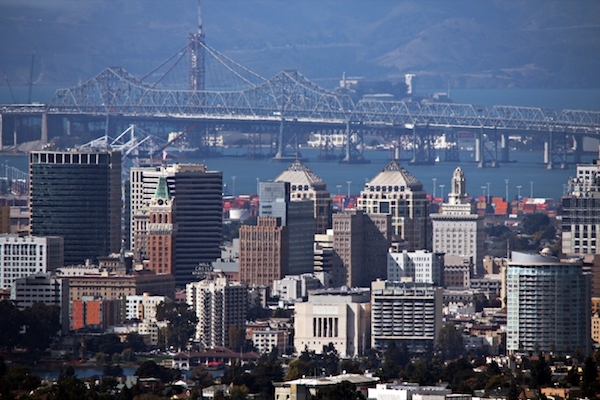 “Oakland is just deeply committed to community engagement,” Harris agreed. Individual and group responses from the meeting were recorded and will be distributed to the school board and posted to the district website, Harris said, adding that public input will inform the school board’s decision-making throughout the hiring process. The process of finding and hiring a permanent superintendent is projected to take up to six months, Harris said. The job will likely be posted in February, and applications will be accepted for the following 30 to 45 days. Harris said the community will be informed of the board’s progress through each step of the process, and there will be more opportunities for involvement in the future. He also said he would like students to participate in the process and suggested forming a student advisory committee. “They have great eyes and great ears,” Harris said of OUSD students, noting their understanding of the district and what it needs. The overarching purpose of the community meeting and finding a new superintendent is to provide quality education to Oakland’s students, Holland said. Along with finding a superintendent, Harris and Oakland Mayor Libby Schaaf noted the importance of retaining a superintendent. Schaaf, an OUSD graduate and parent of current students, sat in on a small group discussion and listened to feedback. The school district has seen four different district leaders in under 10 years, including Tony Smith, who was superintendent from 2009-2013, former interim superintendent Gary Yee, Wilson and current interim leader Dillon. Members of the Oakland community discuss qualities they want to see in the city school district’s next superintendent during a Thursday night meeting at La Escuelita Elementary School. Photo by Marian Davidson.